Note: If you are a returning patient you can optionally log in to our scheduling system to speed up your booking process. If you are a new patient you will have a chance to sign up after scheduling your consult. 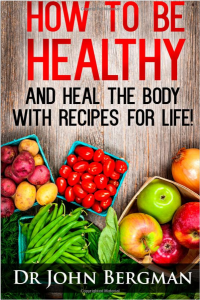 This book of recipes is for optimal healing. Your body is self-healing and self-regenerating and self-regulating. Nutrition is not taught in detail in Medical schools even though throughout time even the “father of medicine” Hippocrates said “Let food be your medicine and medicine be your food” and even older than that there is an Ayurvedic saying “when diet is good medicine is of no need and when diet is poor medicine is of no good” This book is to guide you on how your body metabolizes nutrients and prevent and even reverse disease in most cases. I will present information to get the most out of the food you have available to where ever you live on our planet. Some places at some times of the year won’t have fresh vegetables available so I will ask you to substitute fermented vegetables and show you how to prepare them. You may not have access to fresh coconuts or fresh spices I will always give you alternatives so no matter where you are or what you can afford you will always have cost effective healthy food choices for you and your family. I will also show you how to have healthy meals that even the pickiest child or adult will like. You will need some equipment to predigest your food because most diseases start in the gut. Most people today have poor digestion from the types of food available and poor medical care like over use of medications and poor quality of foods. So we have to heal the gut first. The body has the innate ability to be healthy. A diagnosis of cancer does not have to be a death sentence. The information in this book is based on hundreds of case studies and a collection of research from the World Health Organization and more. The information provided gives the reader the tools to optimize their body function and invaluable resources to treat cancers if they already exist. If you or someone you love has cancer this book is for you. I have had patients as young as 12 years old and up to 73 years old come to me diagnosed with FMS, with the average age being between 25 and 45. Every aspect of their lives has been affected with this disease, limiting even the most basic of daily activities and family interactions. I have seen relationships torn apart and the black cloud of FMS descend on whole families even though just one person has FMS. FMS affects spouses, siblings, children, and friends of the person suffering with FMS. Fibromyalgia is a disorder characterized by widespread musculoskeletal pain accompanied by fatigue, sleep, memory and mood issues. Researchers believe that fibromyalgia amplifies painful sensations by affecting the way your brain processes pain signals. Symptoms sometimes begin after a physical trauma, surgery, infection or significant psychological stress. In other cases, symptoms gradually accumulate over time with no single triggering event. 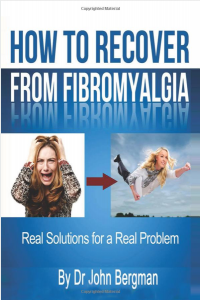 Women are much more likely to develop fibromyalgia than are men. Many people who have fibromyalgia also have tension headaches, temporomandibular joint (TMJ) disorders, irritable bowel syndrome, anxiety and depression. While there is no cure for fibromyalgia, a variety of medications can help control symptoms. I need to thank my patients for having the courage to stand up to a medical system that is not just broken but dangerous. It takes an incredible amount of courage to take responsibility for your own health. Too many people today abdicate authority over their health to a medical professional, submitting to medical procedures blindly, and many times with disastrous results. 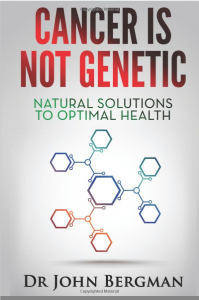 I have always approached health issues with the idea that the human body is intelligent and there are reasons for its responses to environmental stimuli (that is what doctors and people call symptoms). If you look at all symptoms, whether you are dealing with High Blood Pressure, Depression, Reflux, or even Cancer, know that the body has intelligent responses to deficiencies or toxicities – and then the solution for those symptoms or conditions will be clear. This driving thought has been inspiring me to research the true source of disease and the solutions for those diseases. 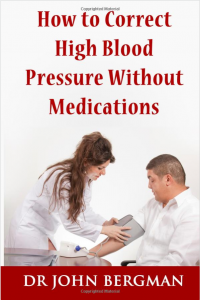 In this book, I include real patients with real problems that have been mistreated by an obsolete medical system. I have changed the names of the patients, but their ages and the symptoms, and therapies they endured are real. I want you to appreciate the true courage one must have to take charge and responsibility for one’s health, and to go against the health authorities of today. Throughout history, changing a broken system has taken vision, courage, and the ability to focus on a different idea. When Galileo first had the idea that the earth wasn’t the center of the universe, he was threatened with excommunication from the church and ridiculed by those in power. But his ideas were proven to be true and today he is hailed as a hero. The quote above is vital to ponder when we are confronting a belief system that arthritis is reversible. 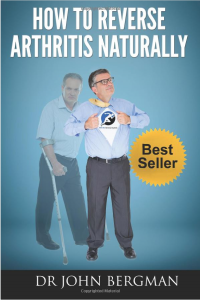 Arthritis reversal is more about human potential. On doing research for this book I studied several body-building groups. I found one in Japan where the minimum age is 75 years. That’s right; you have to be 75 years old to join. A lot of people think that as we age we’re supposed to break down, and that’s not true. If you don’t drive a car, the car is going to last a long time; but if you don’t drive a body, it’s going to break down early. With human beings, the more we use our body, the longer it works. With this book you will learn that emotions are chemicals produced by how your brain is wired. Your brain’s wiring and structure can be changed. There is a plasticity to your brain and with the information in this book you will learn how to change it. It is not the events that happen to you that are reality but it is your perception of those events, and changing your perception is in your control. You will discover the toxins you have been exposed to and how to detox and eliminate them. 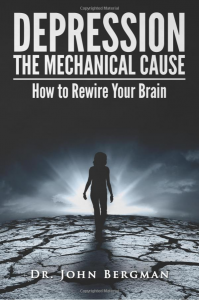 With this book you will learn how to rebuild your body, your brain and discover how your nervous system works. You will regain your health and vitality. Health is your natural state and it is yours; now take it and live well!!! “The people who say they don’t have time to take care of themselves will soon discover they’re spending all their time being sick.” – Patricia Alexander Intermittent fasting is a phenomenon that is currently one of the world’s most popular health and fitness trends. It involves alternating cycles of fasting and eating, instead of eating all hours during the day. It isn’t a diet, but rather an eating pattern. It does not include any rules about what foods to eat, but rather when you should eat them. As noted by Time magazine, intermittent fasting is becoming so popular because of one reason – it works. It works whether you are trying to lose weight, or just improve your biomarkers to achieve optimal health. In a nutshell, it is the way we are designed to eat. It allows us to use fat as our primary fuel instead of carbohydrates by adopting the way our ancestors used to eat. Unlike so many diets out there, this is not the latest ‘fad diet’ portrayed in popular media. Dieting is a multi-billion dollar global industry, and there is not a shred of evidence people are becoming slimmer as a result. In fact, the opposite is true. The percentage of obesity keeps increasing and has now reached epidemic proportions all over the world. Intermittent fasting, however, has proven to be a safe and effective approach that promotes not just fat loss, but actually improves overall health in ways no other lifestyle modification could do. What differentiates intermittent fasting from any other diet is the extreme abundance of high-quality, peer-reviewed research to back up all of its claims and results. It also serves as the way humans were physiologically designed to eat, period. I truly believe this is the most powerful intervention out there if you’re struggling with your health, weight, or any chronic disease. In addition, the other benefits it has to offer are nothing short of spectacular. The list of health benefits includes, but are not limited to: 1. Massive fat burning and weight loss 2. Increased human growth hormone production 3. Enhanced brain function 4. Insulin sensitivity 5. Improvement of beneficial gut bacteria 6. Reduction in cancer 7. Leptin sensitivity 8. Ghrelin hormone normalization (hunger hormone) 9. Elimination of sugar cravings 10. Reduced oxidative stress 11. 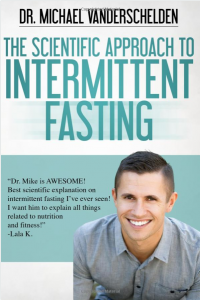 Increased lifespan and longevity In this book we will go over the many benefits intermittent fasting can bring to you. It is also going to cover the specific ways you can implement this fasting regimen in your life, as well as going over common questions and concerns you might have. The scientific health benefits we go over are very important. A lot of these benefits will seem exaggerated, but this is simply a review of the scientific literature and is not mere opinion on my part. Glasses and contacts are a pain. I tried to wear contact lenses while playing college and professional football and it just doesn’t work. I was always getting sweat, dirt or even fingers in my eyes that just became annoying. After my football days, I decided to go on a quest. My mission was to find out if there were any ways to recover vision naturally, without corrective lenses. This book is a summary of what I found. In it I share how I was able to eliminate my glasses completely after ONE DAY! Granted, eventually I had to revisit some of these techniques but that was 2 years later! The majority of what I personally used was from the Bates Method. I am only a satisfied Bates student not a certified Bates practitioner. I wrote this book just to share the information so that it may help those in need. Here is some of what you will discover: Relaxation of body and eyes Breathing Exercise One: Deep Breathing Exercise Two: Lens Flexor Stretching Body Movement Exercise One: Sway Exercise Two: Long Swing Exercise Three: Cross-Crawl Energetic Yawning Blinking Palming Sunning Pinhole glasses Alternate Eye Movements Lazy Eights Central fixation Exercise 1: Tibetan Wheel Exercise 2: Snellen Chart Exercise 3: Domino Chart Exercise 4: Edging Exercise 5: Mandala Eye Oblique Stretch Near & Far Visualization Analytic seeing Chiropractic & Vision Nutrition This is a comprehensive collection from books, articles and research that I discovered on this journey to natural clear vision. Who is this book for? •Anyone, from 5 to 100 who wishes to make their vision better as it’s never too late to do so. •Anyone who has problems with seeing correctly and wants to be able to do so. •Anyone who uses weak, moderate or even strong reading glasses, or even bifocals or trifocals. 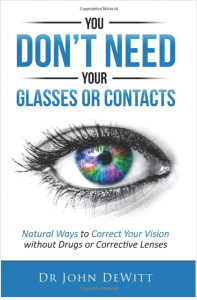 •Anyone who experiences eye strain, fatigue, or headaches when reading or trying to focus on the computer screen. •Anyone with excellent near-point vision who wishes to keep it that way and save themselves from having to wear glasses. I hope you enjoy the information shared here. I’ve also included a list of 20 foods that optimize visual health. To Better Vision! We have always been told that nutrition is important. Some of us took that to heart and others just shrugged it off. Unfortunately those “shruggers” usually feel the costly effects later in life. 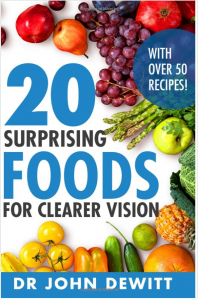 In this book, I am going to reveal the foods I discovered during my quest to get clearer vision without glasses or contacts. Some may seem exotic others may seem common. The nutrients in these foods, and the over 50 recipes included, contain vital nutrients to improve vision and even heal damaged eyes. By subscribing to my inspirational life coaching newsletter today you will ensure yourself a better tommorow! Following my life success tips will surely transform your life for good! Disclaimer: The entire contents of this website are based upon the opinions of Dr. John Bergman D.C., unless otherwise noted. The information on this website is not intended to replace a one-on-one relationship with a qualified health care professional and is not intended as medical advice. It is intended as a sharing of knowledge and information from the research and experience of Dr. John Bergman D.C. and his community. Dr. John Bergman D.C. encourages you to make your own health care decisions based upon your research and in partnership with a qualified health care professional. If you are pregnant, nursing, taking medication, or have a medical condition, consult your health care professional before using products based on this content.